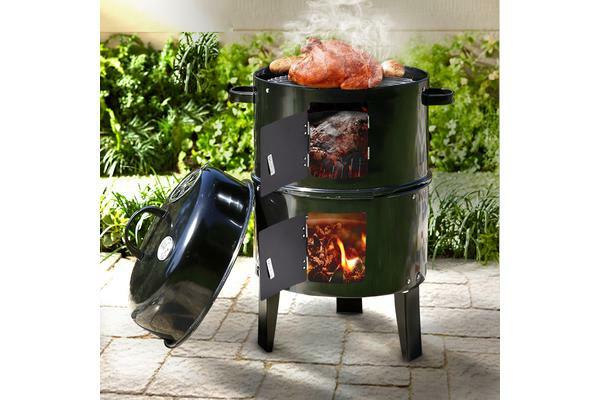 This multifunctiol cooker roasts, smokes and grills, giving you a variety of ways to leave everyone full and the block abuzz. Vented lid and tight-fitting doors creates a constant flow of new smoke for maximum flavor. Ther water pan perfect the slow-cooking process so food is juicy and tender every time. 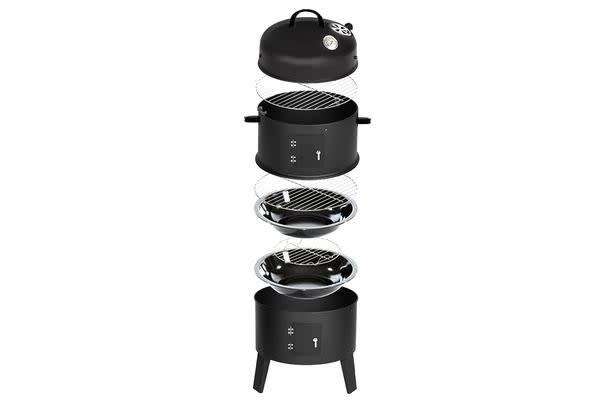 With 2 layers cooking space, the smoker can grill up to 20 burgers at once. 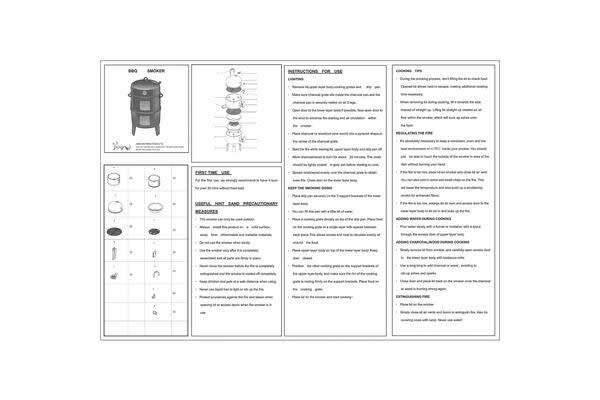 It also includes a professiol temperature gauge and large charcoal access door to make grilling and smoking even easier. The water and charcoal smoker is super versatile and can easily be converted for use as a grill without any special tools.